Success in retail today requires reaching your customers wherever they are—whether that be on their desktop, mobile phone or shopping in the physical store. Providing your customers with a uniform branded experience through all interactions—from in-store to mobile to packing materials—is no longer an option, it’s what customers expect. Effective retailers must incorporate both online and in-store strategies by leveraging technologies and techniques to build a successful omnichannel retail experience. Here, we’ve compiled a list of ways to build an in-store omnichannel strategy to meet the needs of today’s empowered consumers and reach them with a seamless and enticing experience across all channels. Omnichannel strategies should undoubtedly be centered around your customers, but continuously shifting consumer purchasing preferences make customers a moving target. The most successful retailers ensure their marketing strategies are geared toward engaging customers on any channel. They also have a complete understanding of their customers’ shopping behavior and what it means for the overall business. With such rich data at your fingertips, you can ensure that the information your customers want and need is available to them from every relevant touch point. According to new research from Google, 71 percent of shoppers use smartphones for research in-store and say that it has become an important part of the experience. Your customers are likely researching options, reviews and conversations on social media when looking for a product in your store, so make sure that information is easy for them to find across all devices while continuing to analyze changing behaviors, and determine which channels are most effective for your brand. According to a recent PricewaterhouseCoopers report, 78 percent of retailers worldwide say having sales associates with deep knowledge of the product range is an important factor for the in-store shopping experience. To support an omnichannel marketing strategy, retailers and brands must invest in store employees who can assess the needs of customers based on their in-store behavior. Additionally, if retailers provide targeted training, efficient employee schedules and streamlined task management, they can maximize the time that sales talent spends helping customers making spending decisions on the floor. Through a robust workforce management solution, you’ll gain critical insight into your in-store workforce. Digital isn’t just driving e-commerce, it’s driving people to the physical store. To satisfy the omnichannel shopper, retailers must deliver flawless execution with a unified customer experience across all retail locations. To create that experience, it’s essential to keep shelves stocked, implement in-store signage as soon as needed and verify that retail execution and marketing materials are updated and executed properly to capture the attention of customers. Omnichannel solutions are creating a dramatic shift in the way we think about retail, but it’s a change that comes with huge opportunities. Most customers don’t solely shop online or in-store—they bounce freely between the two—the challenge is for retailers to reach them where they are. An omnichannel strategy is the answer. Establish continuity between your multiple channels to ultimately create the ideal in-store experience. 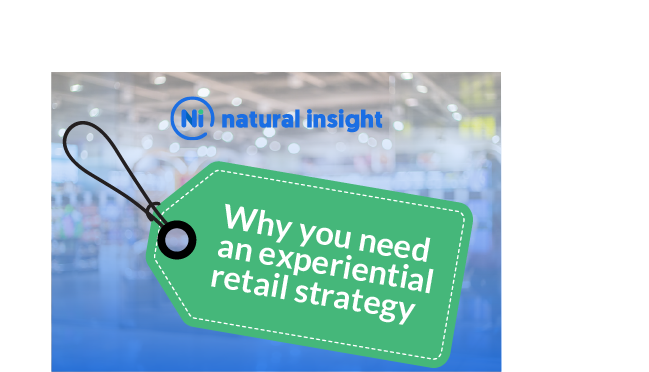 A robust retail execution and workforce management platform like Natural Insight provides retailers with unprecedented visibility into what is happening in their stores. On-demand workforce communication tools help to consistently deliver the best experience to customers, help retailers carry-out flawless in-store execution and drive more sales through a unified user experience.